Wykeham South Lake seemed to be the centre of attraction today and the increase in observers produced some interesting birds. 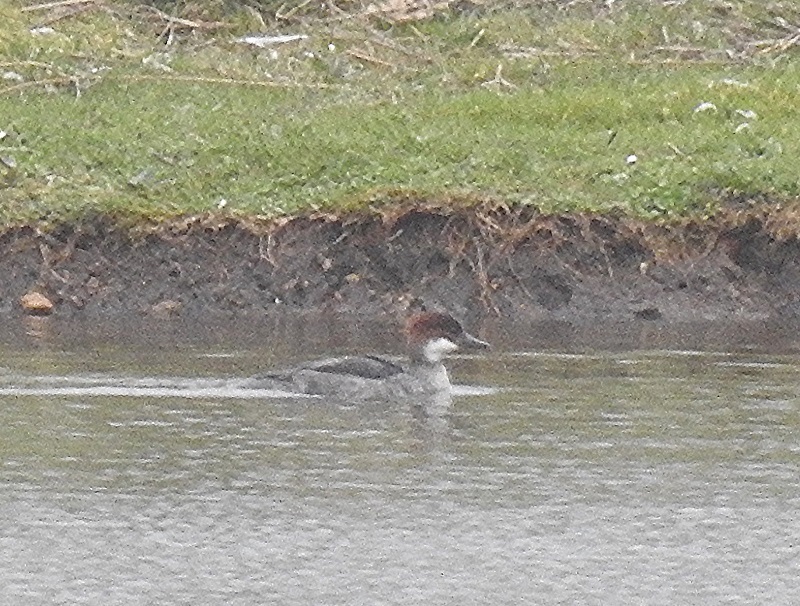 The most unusual was a female Smew which was discovered in the southeastern corner of the lake at about 18.00 this evening and was still present at dusk. Also recorded here today were the Black-throated Diver, 2 Little Ringed Plovers, 2 Pintail, Yellow Wagtail, Common Tern, 2 Shoveler, 10 Wigeon, 7 Tufted Duck, 5 Great Crested Grebes and 2 Egyptian Geese. 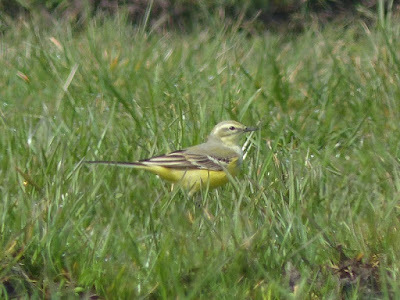 The other good find of the day was a fly over Wood Lark that went south at Crook Ness at 06.42 and then highlights past Long Nab included an Eider (N), 12 Common Scoter (S), a Whimbrel (N), 2 Sandwich Terns (N), 2 Yellow Wagtails sp. (S), 34 Meadow Pipits (S), 402 Linnets (S) and 131 Goldfinches (S). Also moving south today past Scalby Lodge Pond this morning were a House Martin, 327 Linnets, 108 Goldfinches and a Corn Bunting whilst a Whimbrel went north. 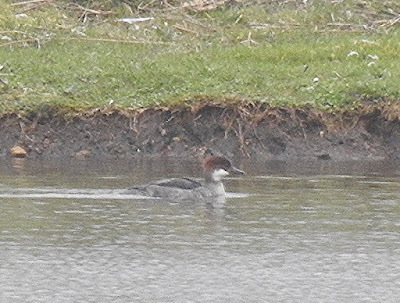 At Potter Brompton Carr today 13 Wigeon, 15 Teal, 4 Gadwall, 11 Shoveler, a Redshank, 4 Oystercatchers and a Curlew; at Burton Riggs 2 Kingfishers and a Willow Warbler; in the Seamer Tip Pool/Taylor Way area 2 Pink-footed Geese, a Little Egret, a Willow Warbler, a Lesser Whitethroat and 10 Swallows plus a Lesser Whitethroat by the railway track south of the pool and in Metes Lane, Seamer a Little Owl and a Woodcock. A Ring Ouzel was at Ravenscar near the water treatment plant to the south of the hotel; 2 House Martins were at Harwood Dale Lake; two Red Kites were between Hutton Buscel and Beedale and a White Wagtail was on Johnson’s Marsh.